During his United States tour, Cocker played at several large festivals, including the Newport Rock Festival and the Denver Pop Festival And the Woodstock festival, performing several songs, including “Delta Lady”, “Something’s Comin’ On”, “Let’s Go Get Stoned”, “I Shall Be Released”, and “With a Little Help from My Friends. Directly after Woodstock, Cocker released his second album, Joe Cocker! For which Cocker also covered the Beatles “She Came In Through the Bathroom Window” and “Something” and the Leon Russell song, “Delta Lady”. In August 1969, Cocker performed at the Isle of Wight Festival at Wootton Bridge, Isle of Wight, England. in 1970 Joe Cocker toured America With a group of more than 30 musicians, including pianist and bandleader Leon Russell, three drummers, and backing vocalists Rita Coolidge and Claudia Lennear. the new band was christened “Mad Dogs & Englishmen”, after the Noël Coward song of the same name. Cocker’s music evolved into a more bluesy type of rock, compared to that of the Rolling Stones. Despite having several hits including “Cry Me a River”, “Feelin’ Alright” and “The Letter”, the pace of the tour was exhausting and his family became increasingly concerned with his deteriorating physical and mental health. Russell and Cocker both had personal problems; Cocker became depressed and began drinking excessively. Cocker also wrote the overture played by the UK Prime Minister Edward Heath on the occasion the Prime Minister famously conducted a live orchestra while in office. In 1971, Cocker released “High Time We Went”. After touring the United States, he Toured Europe, playing Italy and Germany before returning to the United States and Australia in 1972 where he and six members of his entourage were arrested in Adelaide for possession of marijuana and he was Charged with Assault the next day, in Melbourne, after a brawl at the Commodore Chateau Hotel, and the Australian Federal Police gave Cocker 48 hours to leave the country. This sparked a debate about the use and legalisation of marijuana in Australia, and gained Cocker the nickname “the Mad Dog”. In 1974, Cocker released the album “I can Stand A Little Rain”which contained a cover of Dennis Wilson and Billy Preston’s “You Are So Beautiful” and in 1975 he released a second album , Jamaica Say You Will. In late 1975, he contributed vocals on a number of the tracks on Bo Diddley’s The 20th Anniversary of Rock ‘n’ Roll all-star album and also recorded the album “Stingray” in Kingston, Jamaica. In 1976, Cocker performed “Feelin’ Alright” on Saturday Night Live. For which John Belushi joined him onstage doing his famous impersonation of Cocker’s stage movements. Cocker recorded two songs with the jazz group the Crusaders on their album Standing Tall. One song, and “I’m So Glad I’m Standing Here Today”, which was nominated for a Grammy Award. Cocker then released a new reggae-influenced album, Sheffield Steel, recorded with the Compass Point All Stars. Then In 1982, Cocker recorded the duet “Up Where We Belong” with Jennifer Warnes for the soundtrack of the 1982 film An Officer and a Gentleman. Which was an international hit, and won a Grammy Award for Best Pop Performance by a Duo and an Academy Award for Best Original Song. He also performed “You Are So Beautiful” with Ray Charles in a television tribute to the musician and joined Ronnie Lane’s 1983 tour to raise money for the London-based organisation Action for Research into Multiple Sclerosis, with other Musicians such as Pete Townshend, Eric Clapton, Jimmy Page, Jeff Beck and Chris Stainton. In 1983 Cocker was arrested by Austrian police Shortly after the incident, he released his ninth studio album, Civilized Man. His next album Cocker was dedicated to his mother, Madge, who had recently died which featured the song “You Can Leave Your Hat On” which was featured in the 1986 film 9½ Weeks. He also released the 1987 album Unchain My Heart. In 1988, he performed at London’s Royal Albert Hall and appeared on The Tonight Show. After Barclay James Harvest and Bob Dylan, Cocker was the first to give rock concerts in the German Democratic Republic, in East Berlin and Dresden. The venue, the Blüherwiese, next to the Rudolf–Harbig–Stadion, bears the vernacular name Cockerwiese (Cocker meadow) today. Healso performed for President George H. W. Bush at an inauguration concert in 1989. In 1992, he released a cover of Bryan Adams’ “Feels Like Forever”. In 1992, Joe Cocker teamed with Canadian rocker Sass Jordan to sing “Trust in Me”, which was featured on The Bodyguard soundtrack and was nominated for Best British Mail At the 1993 Brit Awards. Cocker also performed the opening set at Woodstock ’94 as one of the few alumni who played at the original Woodstock Festival in 1969. In 2002 Cocker performed “With A Little Help From My Friends” accompanied by Phil Collins on drums and Queen guitarist Brian May at the Party at the Palace concert in the grounds of Buckingham Palace, to commemorate the Golden Jubilee of Queen Elizabeth II. In 2007, Cocker appeared in the film Across the Universe, as the lead singer on another Beatles’ hit, “Come Together” and was awarded an OBE in the Queen’s 2007 Birthday Honours list for services to music and was awarded a bronze Sheffield Legends plaque in his hometown. In 2009 Cocker toured North American and sang the vocals on “Little Wing” for the Carlos Santana album, Guitar Heaven: The Greatest Guitar Classics of All Time, and in 2010, Cocker toured Europe promoting his new album Hard Knocks. In 2011, Cocker took part in a benefit concert for Cornell Dupree at B.B. King’s Blues Club in New York. Dupree played on two Cocker albums: Stingray (1976) and Luxury You Can Afford (1978). Recently while performing at Madison Square Garden, fellow musician Billy Joel remarked that Cocker was “not very well right now” and asked that he be inducted into the Rock and Roll Hall of Fame. The two living Beatles, Paul McCartney and Ringo Starr, were among those who paid tribute to the singer, who was “without doubt the greatest rock/soul singer ever to come out of Britain.” And was ranked No. 97 on Rolling Stone’s 100 greatest singers list. English author, illustrator, natural scientist and conservationist Beatrix Potter sadly passed away 22 December 1943 near Sawry. She was Born 28th July 1866 and is best known for her imaginative children’s books featuring animals such as those in The Tale of Peter Rabbit which celebrated the British landscape and country life. She was born into a privileged Unitarian family, and along with her younger brother, Walter Bertram, grew up with few friends outside her large extended family. Her parents were artistic, interested in nature and enjoyed the countryside. As children, Beatrix and Bertram had numerous small animals as pets which they observed closely and drew endlessly. Summer holidays were spent in Scotland and in the English Lake District where Beatrix developed a love of the natural world which was the subject of her painting from an early age.She was educated by private governesses until she was eighteen. Her study of languages, literature, science and history was broad and she was an eager student. Her artistic talents were recognized early. Although she was provided with private art lessons, Potter preferred to develop her own style, particularly favouring watercolour. Along with her drawings of her animals, real and imagined, she illustrated insects, fossils, archeological artefacts, and fungi. In the 1890s her mycological illustrations and research on the reproduction of fungi spores generated interest from the scientific establishment. After illustrating cards and booklets, Potter wrote and illustrated The Tale of Peter Rabbit publishing it as a small, three-colour illustrated book with Frederick Warne & Co. Potter then went on to write many other books (such as The Tale of Ginger and Pickles, about the local shop in Near Sawrey and The Tale of Mrs. Tittlemouse, a wood mouse) which reflected her increasing participation in village life and her delight in country living. Between 1902 & 1922 Potter Wrote, illustrated and designed spin-off merchandise based on her children’s books for Warne and published over twenty-three books.With the proceeds from the books and a legacy from an aunt, Potter bought Hill Top Farm Near Sawrey, a tiny village in the English Lake District near Ambleside in 1905. Over the next several decades, she purchased additional farms to preserve the unique hill country landscape. Realising she needed to protect her boundaries she sought advice from Solicitors W.H. Heelis & Son. With William Heelis acting for her she bought contiguous pasture. In 1912 Heelis proposed and Beatrix accepted and The couple moved immediately to Castle Cottage, the renovated farm house on Castle Farm. Hill Top remained a working farm but was now remodelled to allow for the tenant family and Potter’s private studio and work shop. Potter settled into country life with her solicitor husband and his large family, her farms, the Sawrey community. The Tale of Jemima Puddle-Duck and The Tale of Tom Kitten are representative of Hill Top Farm and of her farming life, and reflect her happiness with her country life. Potter also became a prize-winning breeder of Herdwick sheep and a prosperous farmer keenly interested in land preservation. She also established a Nursing Trust for local villages, and served on various committees and councils responsible for footpaths and other country life issues, Potter had been a disciple of the land conservation and preservation ideals of her long-time friend and mentor, Canon Hardwicke Rawnsley, the first secretary and founding member of the National Trust for Places of Historic Interest or Natural Beauty. She supported the efforts of the National Trust to preserve not just the places of extraordinary beauty, but those heads of valley and low grazing lands that would be irreparably ruined by development. She was also an authority on the traditional Lakeland crafts, period furniture and stonework and restored and preserved the farms that she bought or managed, making sure that each farm house had in it a piece of antique Lakeland furniture. Potter was interested in preserving not only the Herdwick sheep, but the way of life of fell farming. In 1930 the Heelises became partners with the National Trust in buying and managing the fell farms included in the large Monk Coniston Estate. The estate was composed of many farms spread over a wide area of western Lancashire, including the famously beautiful Tarn Hows. Potter became the de facto estate manager for the Trust for seven years until the National Trust could afford to buy most of the property back from her. Her stewardship of these farms earned her wide regard. She was notable in observing the problems of afforestation, preserving the intake grazing lands, and husbanding the quarries and timber on these farms. All her farms were stocked with Herdwick sheep and frequently with Galloway cattle. Following her death Beatrix Potter left almost all her property to the National Trust including over 4,000 acres (16 km2) of land, sixteen farms, cottages and herds of cattle and Herdwick sheep. She is credited with preserving much of the land that now comprises the Lake District National Park. Potter left almost all the original illustrations for her books to the National Trust. The copyright to her stories and merchandise was given to her publisher Frederick Warne & Co, now a division of the Penguin Group. Hill Top Farm was opened to the public by the National Trust in 1946 her artwork was displayed there until 1985 when it was moved to William Heelis’s former law offices in Hawkshead, also owned by the National Trust as the Beatrix Potter Gallery. Potter gave her folios of mycological drawings to the Armitt Library and Museum in Ambleside before her death. The Tale of Peter Rabbit is owned by Frederick Warne and Company, The Tailor of Gloucester by the Tate Gallery and The Tale of the Flopsy Bunnies by the British Museum. The largest public collection of her letters and drawings is the Leslie Linder Bequest and Leslie Linder Collection at the Victoria and Albert Museum in London. In the United States, the largest public collections are those in the Special Collections of the Free Library of Philadelphia, and the Lloyd Cotsen Children’s Library at Princeton University. To this day Potter’s books continue to sell throughout the world, in multiple languages, and Her stories have been retold in song, film, ballet and animation. Best remembered as being two members of the phenomenally successful Bee Gees, The late great Maurice and Robin Gibb were both born 22nd December 1949. The three Gibb brothers, Barry Robin and Maurice, made their earliest performances at local movie theatres in Manchester in 1955, singing between shows. Robin Gibb and his brothers seemed to have a natural talent that allowed them to write hit songs with ease. In the 1950′s the Gibb brothers emigrated to Australia with their parents.In the mid-1960′s the Gibb brothers returned to England to further their singing careers. Their early recordings, including dramatic hits such as Massachusetts (1967), drew comparisons with the Beatles. The trio reached the Top Ten with I’ve Gotta Get a Message to You and I Started a Joke (both 1968) but split briefly after the relative failure of their concept album Odessa (1969), but reunited in 1970 and had hits with Lonely Days (1970) and How Can You Mend a Broken Heart (1971). 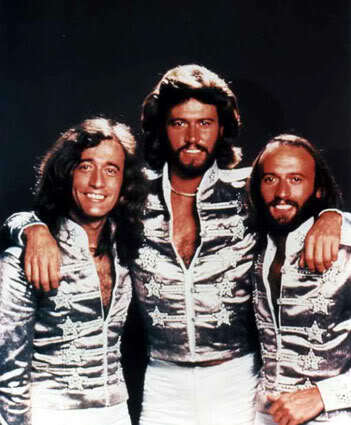 They returned to the charts with Main Course in 1975 – in which they produced a new sound – the emphasis being on dance rhythms, high harmonies, and a funk beat, and their trademark falsetto harmonies propelled the Bee Gees right to the forefront of the disco movement and turned it into a global phenomenon, with hits including Stayin’ Alive Jive Talkin’, You Should Be Dancing and Night Fever, which featured on the soundtrack of the 1977 film Saturday Night Fever, starring John Travolta. British musician Joe Strummer a.k.a John Graham Mellor sadly passed away 22 December 2002. born 21 August 1952, he is best remembered as the co-founder, lyricist, rhythm guitarist and lead vocalist of the British punk rock band The Clash, from London, a band that formed in 1976 as part of the original wave of British punk. Along with punk, their music incorporated elements of reggae, ska, dub, funk, rap, and rockabilly. The Clash were one of the most prominent of the emerging bands in the UK punk rock scene, their second album, Give ‘Em Enough Rope (1978) reaching number 2 on the UK charts. 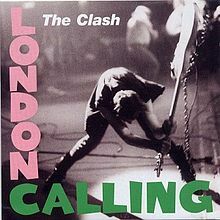 Soon after, they began achieving success in the US, starting with London Calling (1979), and peaking with 1982′s Combat Rock, reaching number 7 on the US charts and being certified 2x platinum there.